Monthly, a group of #GolfChat authors pool their thoughts to produce outstanding golf articles. Normally, I am part of this élite group of writers (okay we are just writers), however I was unable to participate this month. Regardless, I think it is still important to pass on to my avid readers what they have to say. Each author provides a unique view on golf well worth reading. I think you will be interested to hear what they have to say, so let’s get to it! This month there were four authors. Some of the articles are edge and some just play crazy. But, more importantly, they are about golf and entertaining. 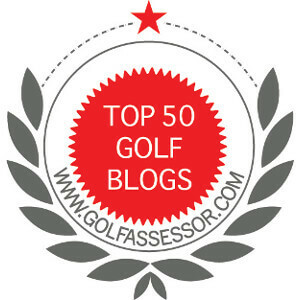 Pete Flanigan: Information Underload – Golf Digest conducted a survey and found that the two aspects of a golf course that make golfers the happiest are course conditions (mostly the conditions of the greens) and the design of the course. Knowing these things before you go to the course is becoming more important, as green fees certainly aren’t decreasing…. Tony Dear: Memories Are Made of Golf – When asked to identify my best golf experience, four contenders spring quickly to mind every time. The first occurred 30 years ago at a course called Mullion in Cornwall, England. The fact it happened 30 years ago, and is still fresh in the memory indicates just how profoundly important and enduringly special the day was. On a bright, sunny morning on cliffs overlooking the English Channel, 30 miles east of Land’s End, my dad and I slugged it out during our annual summer vacation golf trip…. So there you have it. I hope you enjoyed reading the articles! Thanks to the #GolfChat authors for sharing their views on their best golf experience.